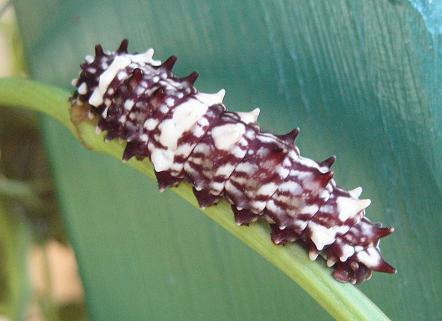 This Caterpillar is covered in tubercles, and is mottled with dark brown and white. Australian Native Dutchman's Pipe ( Aristolochia thozetii ),. 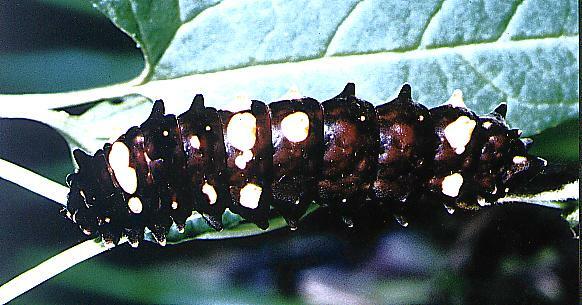 but larvae feeding on the leaves of this plant do not survive. Curiously, they can survive if they feed only on its flowers! 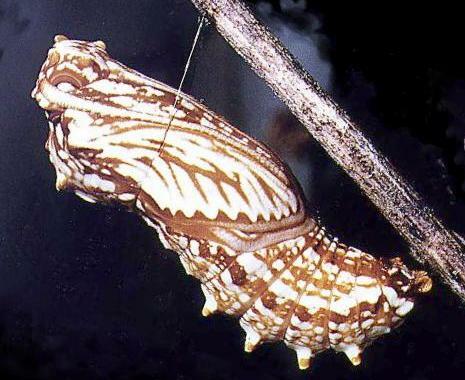 The pupa is brown with white markings. 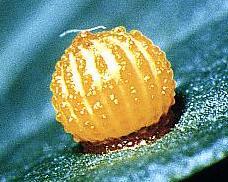 It has a length of about 2.5 cms. 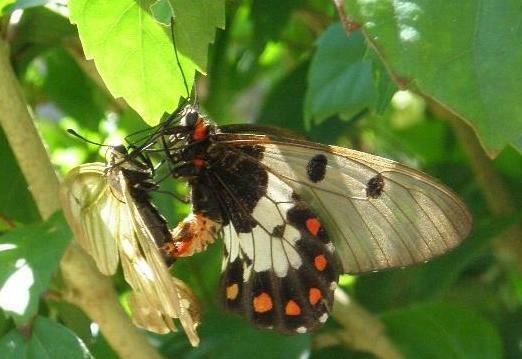 The forewings of the adult butterflies have black veins, with a black area around the base. The females have a black spot on each forewing. 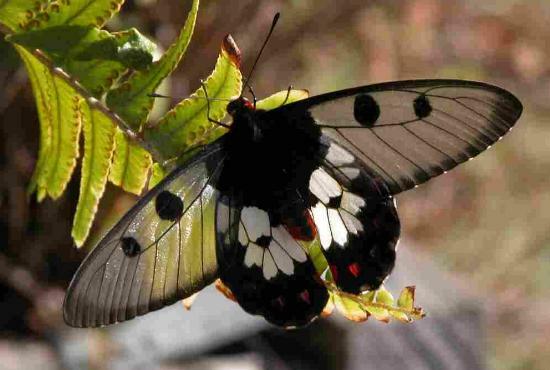 The males have two black spots on each forewing. 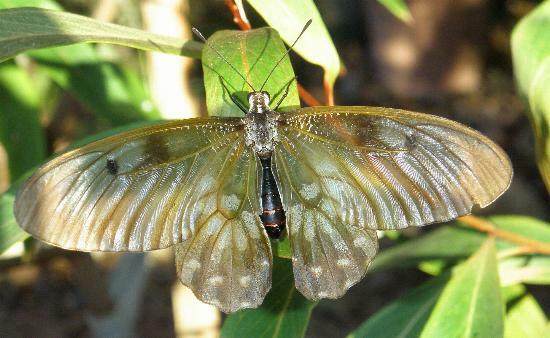 The forewings are otherwise transparent. The hind wings are black with a white band across each one. They each have a red spot on top, and an arc of red spots underneath. 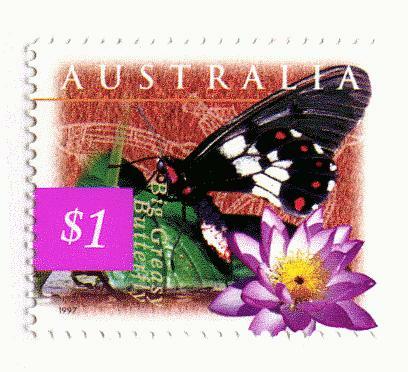 In this way the species mimics other Australian Swallowtails. The wingspan is up to 8 cms. 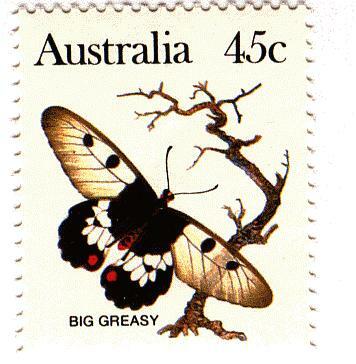 Initially the forewings are white, but the scales are very loose, and soon fall off leaving the wings transparent. The body is black except for a red tip to the abdomen. CSIRO Publishing, Melbourne 2000, vol. 1, pp. 277-278. 1774, p. 448, No. 24. Earthling Enterprises, Brisbane, 2005, pp. 13, 58, 61. LeapFrogOz, Kuranda, 2015, p. 223.